Find out what strategic value you have in your business. Strategic value is the amount a puchaser is willing to pay above 'fair market value'. While different for every purchaser, there are many characteristics you can influence long before a sale. 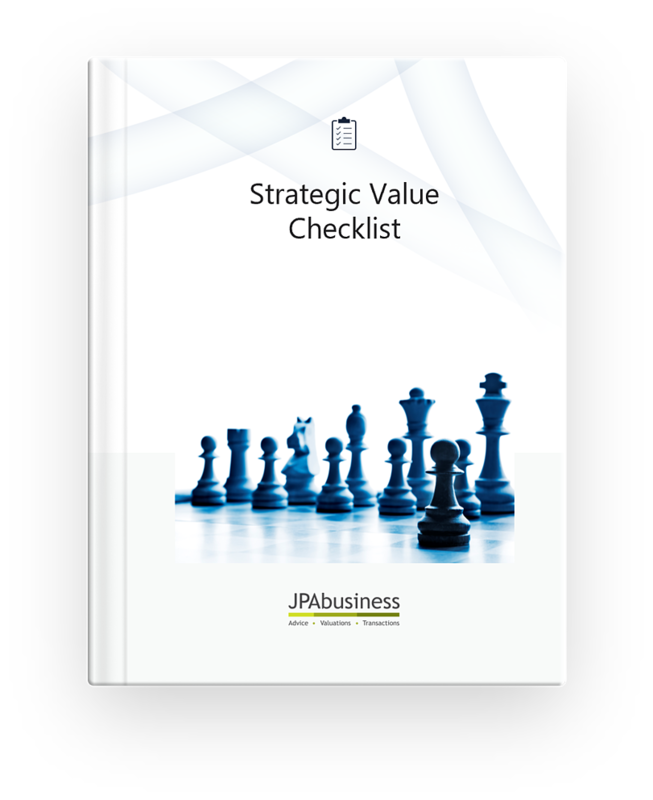 The Strategic Value Checklist covers the business and industry characteristics which influence your strategic value. Help drive positive strategic value in your business.